kind of had a geek out freak out moment... chef nyesha arrington took jeff miller from thrillist on a tour of the santa monica farmer's market (our favorite!). 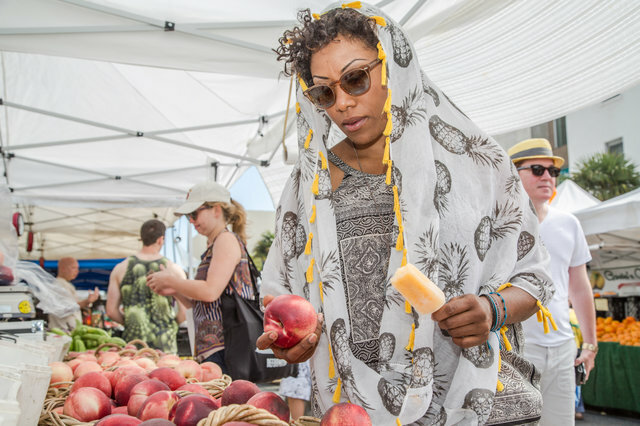 we spotted chef nyesha with a melon creamsicle teebsie popsicle made with weiser family farms creamsicle melons and kiiiiiiind of lost our minds. in a good way. hire teebsie for a party, sign up for our popsicle of the month club (local only) or grab some of our natural candy for your eating pleasure.